Barrie Country Club is a fully private club, owned by its members, not an individual or corporation. Our family-oriented, member-centric approach allows us to truly differentiate and create a complete country club golf and social experience for members and guests in a friendly, comfortable and welcoming environment. The traditional style golf course, with its rolling fairways and beautifully manicured greens, provides a first class golfing experience for golfers of all levels and offers an excellent challenge to low handicappers and recreational players alike. We have been welcoming golfing enthusiasts and families for over 100 years. Our well-appointed, full-service clubhouse, from which our guests enjoy sweeping views of the course and open countryside beyond, was newly built in 2007. We offer exceptional dining and banquet amenities, and modern conference and corporate facilities, making us a venue of choice for popular social events. Located on the northeast side of Barrie, just 5 minutes off of Highway 400, we’re easily accessed from all directions and surrounding areas. Barrie Country Club - a place to share good times with friends and family, meet new people, and simply relax and unwind. The Barrie Country Club is the oldest private golf club in the area, and an important part of the social fabric in Barrie. In 2013 we proudly celebrated our 100th year! The Club originated as a nine-hole layout on the grounds of what is Sunnidale Park. 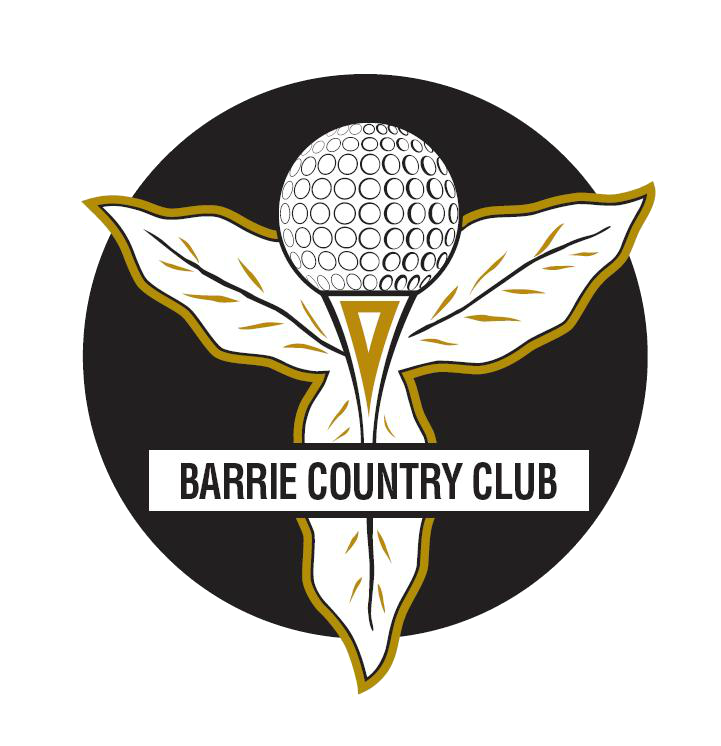 In 1970 the Barrie Country Club officially moved to its current home on the north-eastern edge of Barrie. The Barrie Country Club is a private, members-only club that has been welcoming families and golf enthusiasts for over 100 years. The beautiful full-service Clubhouse enjoys spectacular sweeping views of the golf course. Meeting and banquet facilities are available to members and non-members. The fully equipped, PGA staffed Pro Shop features all the latest in golf equipment and outerwear.